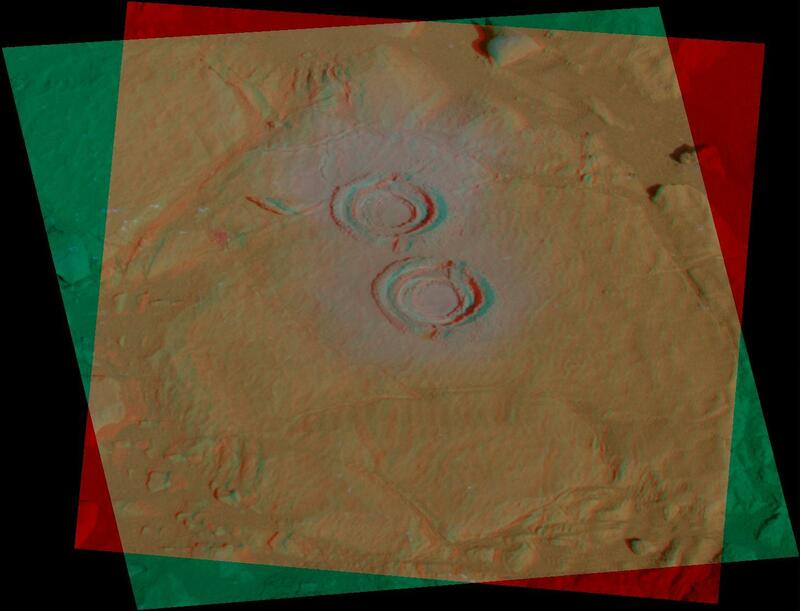 Image processing experts at NASA's Jet Propulsion Laboratory created this color stereo view of a rock studied by the Mars Exploration Rover Spirit in July. The process of creating the image in color is similar to combining two slightly offset black-and-white images except that the colors corresponding to the two images are separated into offset right-eye and left-eye views. 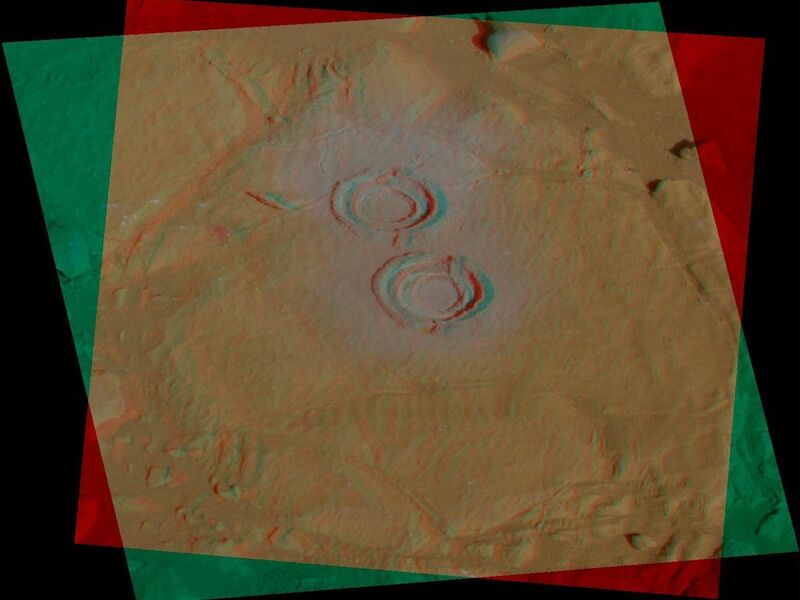 For comparison, the two-dimensional (non-stereo) image representing the panoramic-camera team's best attempt at generating a "true color" view of what this rock would look like if seen by a human on Mars was posted on the Web on July 30, 2004 (see PIA06741). The color image was generated from a mathematical combination of six calibrated images acquired through filters for wavelengths between 430 nanometers and 750 nanometers. This image shows two holes created by Spirit's rock abrasion tool in a rock dubbed "Wooly Patch" near the base of the "Columbia Hills" inside Gusev Crater. 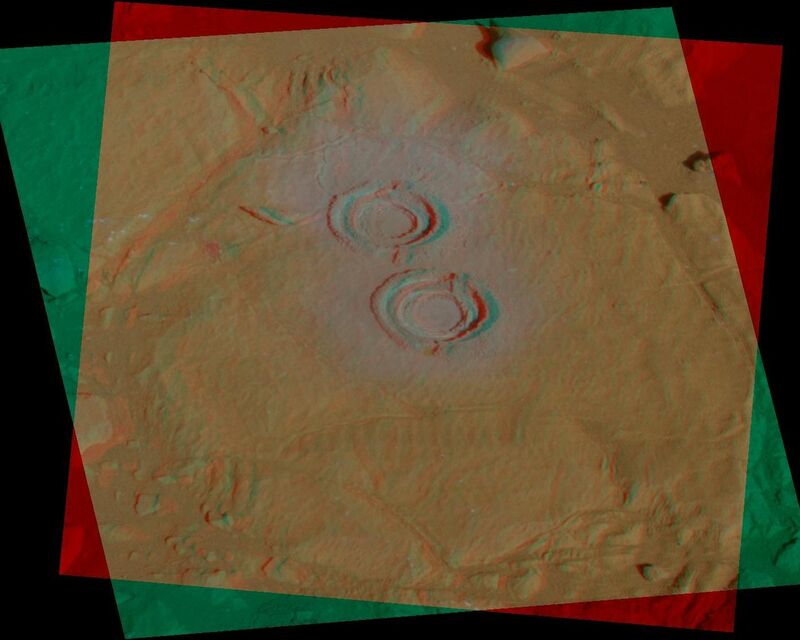 The rover took the images with its panoramic camera on its 200th martian day, or sol (July 25, 2004). 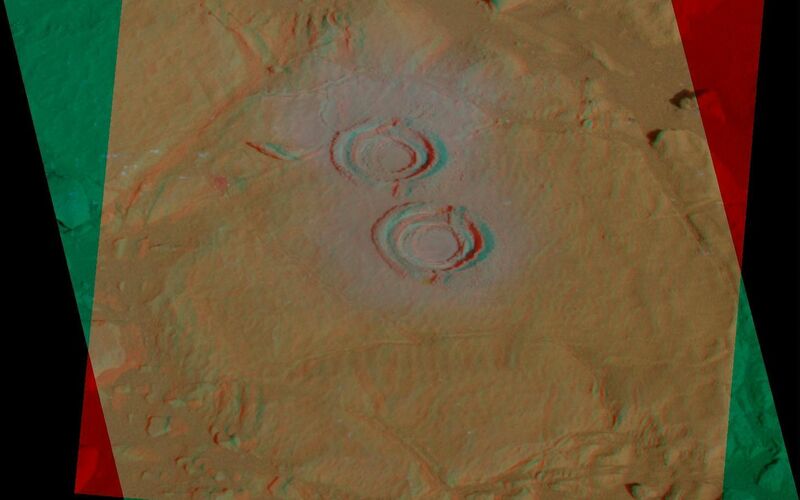 Scientists speculate that this relatively soft rock may have been altered by water; small cracks may be the result of interaction with water-rich fluids.